Following the devastating ECHO Arena car park fire in Merseyside on New Year’s Eve, Liverpool’s chief fire officer, Dan Stephens, announced that the fire could have been suppressed by sprinklers. Once again questions are being raised about the cost effectiveness of sprinklers and their ability to contain and prevent the spread of fire. The fire, which broke out in the multi-storey car park in King’s Dock, Liverpool on New Year’s Eve, caused extensive damage and destroyed most of the cars within the car park, which was completely full with the Liverpool International Horse Show at the neighbouring Echo Arena. Just a few cars in the corners and on the rooftop of the car park were spared and luckily Six dogs were rescued from the car park and reunited with their owners. It was a miracle that no human or animal lives were lost and no one was seriously hurt. With so many cars destroyed, hundreds of people were left stranded overnight with no means of transport to return home. More than 1,400 cars were completely destroyed in the blaze, which was thought to have started when a land rover’s engine burst into flames. The council-owned car park is now expected to be demolished. The cost of this fire is huge. Chief Fire officer, Dan Stephens, went on to say that the materials used to make vehicles today were safer but far more flammable, and as a result the heat release rate from modern vehicles was exponentially greater than the vehicles of 20 to 30 years ago. The effect of government cuts to the fire service has also been called into question. The Mayor of Liverpool, Joe Anderson, suggested the blaze could have been contained if recent fire service budget cuts had not been imposed. The Mayor has written to Nick Hurd, Minister of State for Policing and the Fire Service about the effect of the cuts and has raised the question as to whether sprinklers are now required in car parks. Six months on from the tragic Grenfell Tower fire in which 71 lives were lost, it is inconceivable that we are no further forward. Action needs to be taken now if we are to prevent another tragedy of the same magnitude. There needs to be a complete review of fire safety regulations for residential, commercial and public buildings. The costs of these devastating fires are insurmountable. We await the outcome of the Independent Inquiry set up following the Grenfell tragedy, which is being chaired by Dame Judith Hackitt. While the full report isn’t expected until April, in an interim report, building regulations in the UK were damned as “not fit for purpose.” A cultural and behavioural shift is what is needed if we are to change the mindset of doing things as cheaply as possible. 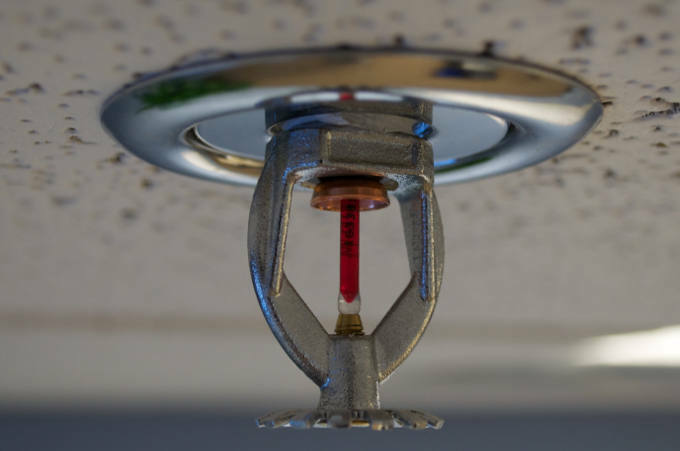 Investing in sprinklers is a cost-effective solution for fire safety.